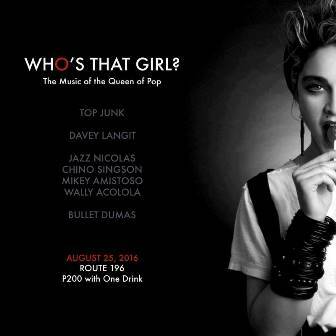 Why you should go: Celebrate the music of the Queen of Pop with these musicians paying homage to Madonna’s all-time hits—Top Junk, Davey Langit, Jazz Nicolas, Chino Singson, Mikey Amistoso, Wally Acolola, and Bullet Dumas. Other details: Gig starts 9 p.m. P200 to get in, inclusive of a free drink. Top Junk, Davey Langit, Jazz Nicolas, Chino Singson, Mikey Amistoso, Wally Acolola, and Bullet Dumas.